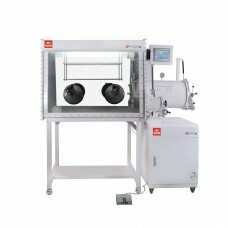 Standard models of glove boxes are a complete standalone system integrated with entire functional components. 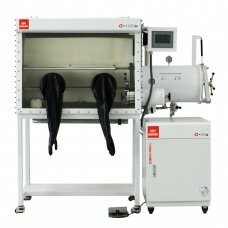 They are able to create an inert environment with less than 1 ppm of H2O and O2. 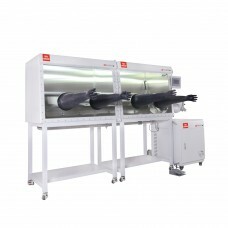 The systems are modulated with antechambers, movable windows, adjustable trays, lighting units, adjustable shelves, and gloves, which meet most of the operations in the glovebox. 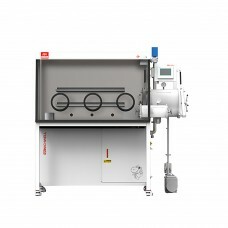 The systems are made of highest-quality components. 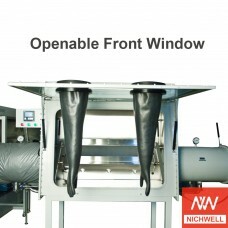 We also provide optional components to meet your special requirements. 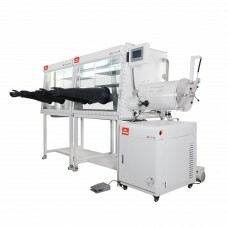 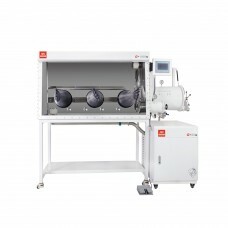 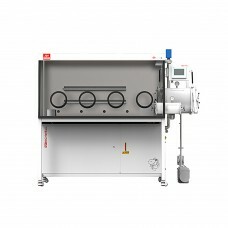 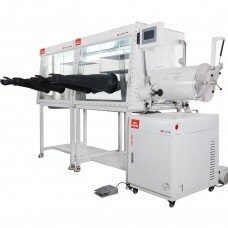 The standard models include a series of glovebox chamber lengths including 1200, 1500, 1800, and 2400 mm. 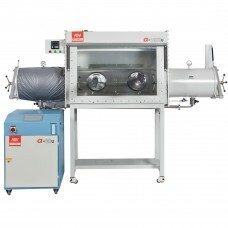 We also take custom-built orders according to your needs. 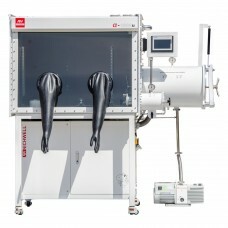 α-1200U Inert Vacuum Controlled Atmospheres GloveboxExternal StructureChamber CapacityApproximately ..
α-1200U Separated Inert Vacuum Controlled Atmospheres GloveboxExternal StructureChamber CapacityAppr..
α-1200U Separated Two-sided Inert Vacuum Controlled Atmospheres GloveboxExternal StructureChamber Ca..
α-1500U Inert Vacuum Controlled Atmospheres GloveboxExternal StructureChamber CapacityApproximately ..
α-1500U Separated Inert Vacuum Controlled Atmospheres GloveboxExternal StructureChamber CapacityAppr..
α-1500U Separated Two-sided Inert Vacuum Controlled Atmospheres GloveboxExternal StructureChamber Ca..
α-1800U Inert Vacuum Controlled Atmospheres GloveboxExternal StructureChamber CapacityApproximately ..
α-1800U Separated Inert Vacuum Controlled Atmospheres GloveboxExternal StructureChamber Capaci..
α-1800U Separated Two-sided Inert Vacuum Controlled Atmospheres GloveboxExternal StructureChamber Ca..
α-2400U Inert Vacuum Controlled Atmospheres Laboratory GloveboxExternal Structure ..
α-2400U Separated Inert Vacuum Controlled Atmospheres Laboratory GloveboxExternal Structure &n..
α-2400U Separated Two-sided Inert Vacuum Controlled Atmospheres GloveboxExternal Structure &nb..
α-1200U Inert Vacuum Controlled Atmospheres Laboratory Glovebox With Openable Front WindowExternal S..
α-1200U Inert Vacuum Controlled Atmospheres Laboratory Glovebox With Main Antechamber 200℃ Ove..
α-1200U Inert Vacuum Controlled Atmospheres Laboratory Glovebox With Main Antechamber 600℃ Ove..